Power of the Force II is really important to me. The line is certainly rather dated by today’s standards, probably even more so than even the vintage line, but it brought the Star Wars brand back to shelves after almost 10 years of absence. And, more importantly, it was the line on the shelves in the mid-1990s, just as a certain toy reviewer was getting into action figures. So, today, let’s have a look at that line’s take on Obi-Wan Kenobi, from back in the days when he’d only been played by one actor! 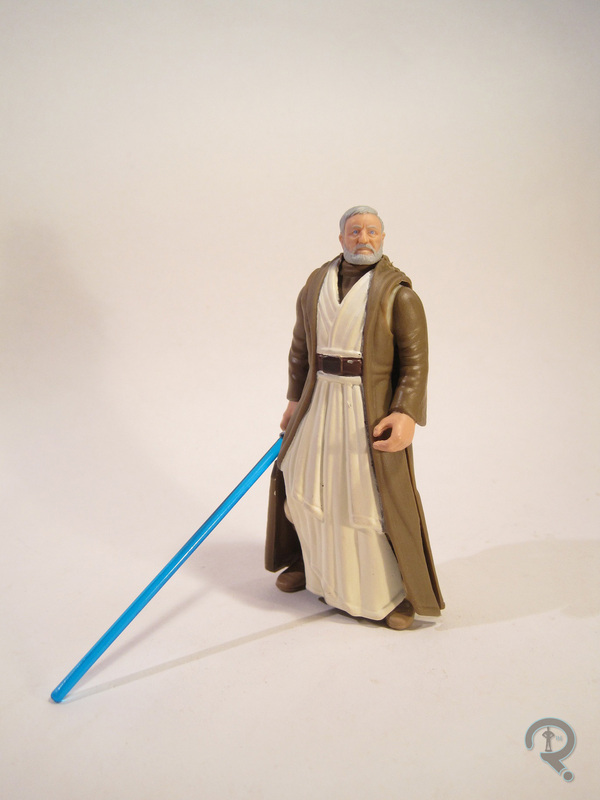 Obi-Wan was released in the first assortment of Power of the Force II figures, which started showing up in 1995-1996. The figure is about 3 ¾ inches in height and he had 6 points of articulation. Oh boy, that waist articulation! Obi-Wan is based on the character’s appearance in A New Hope. Like the rest of the POTF II line, Obi-Wan’s proportions are a little bit whacked. He doesn’t quite have the body builder’s physique that some of the others did, but he’s got some fairly broad shoulders, and man, just look at the size of those hands! Also, his legs have a pretty odd leg posing, which kind of makes him have to stand with a strange stance. For some reason, his outer robes have been done using a removable add-on. The end result is that the figure ends up quite a bit bulkier than he should be. Since the sleeves are still brown to match the outer robe, I honestly can’t think of the practical use for a removable piece. Admittedly, the head is actually a decent sculpt. It has a passing resemblance to Alec Guinness, if perhaps a little squashed. Obi-Wan’s paintwork is decent. Not great, but certainly not bad. There’s a little bit of bleed over in a few of the transition areas. Also, it’s true to the film, but the figure is rather dull, color-wise. You know what makes people want a figure of an old guy? Dull colors. Obi-Wan includes one accessory: his lightsaber. The lightsaber is absurdly long (taller than Obi-Wan), which kinda makes you wonder if old Ben is compensating for something. This marks the second of this figure that I have owned. I got my original around the same time as all the others I have from this line, which is when they were first released. I ended up trading that figure for a Val Kilmer Batman variant (what can I say, I was young and foolish!). I’ve gone all these years without picking up another one. 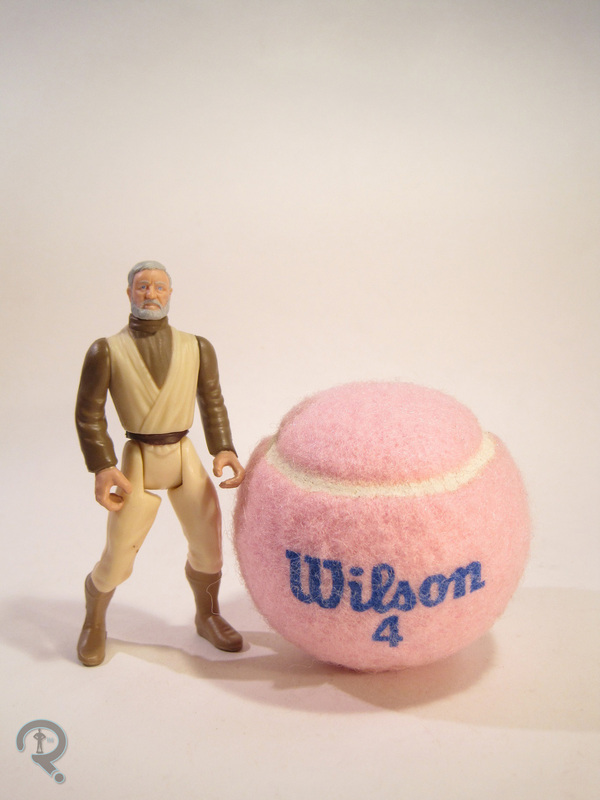 While I was at Farpoint this year, I fished Obi-Wan, along with a few other POTF II figures out of a box of various Star Wars figures that were being sold to benefit the two Farpoint charities. So, I not only got to replace my original figure, but I also got to feel sorta good about it. That’s pretty cool, I guess. Really nice post. I’m very excited for this year’s Star Wars Celebration. You can check out my article here. Maybe you can get some more figures. Thanks for sharing!